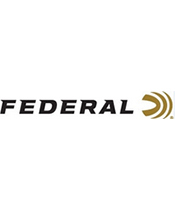 Technology is the lifeblood of Federal® Ammunition, and it's been pumping through our veins since 1922. That's when our founding president, Charles L. Horn, started a culture of innovation that has guided everything we've done for nearly a century, turning a company that began humbly in Anoka, Minnesota, into one of the world's largest producers of sporting ammunition. 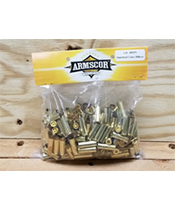 It's led to the development of thousands of specialized, high-quality shotshell, centerfire and rimfire loads for hunters and shooters. It's instilled manufacturing and quality control processes that have made our ammunition the most trusted in the industry. Every day we manufacture products to enhance our customers' shooting experiences and provide an ideal choice for any pursuit. It's what makes us the most complete ammunition company in the business. Today, we carry on Horn's vision for quality products and service with the next generation of shooters. CLICK HERE FOR THE full List of Federal Ammunition! Come to Outdoor Limited where you can get all of your reloadingnecessities. We now stock powder and primers! Hazmat shipping is a little more than regular UPS/FedEx ground so make sure you order in bulk to take advantage of the savings. Local pickup for our NC customers, save big with no hazmat charges! CLICK HERE FOR THE Full list of Reloading Components! PRODUCT SPOTLIGHT - Military Surplus! Check out our military surplus under the Specials tab! Our military surplus deals give you a chance to find previously hard to find items at an always great price. 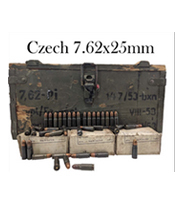 CLICK HERE TO VIEW OUR Full list of Military Surplus Ammunition!